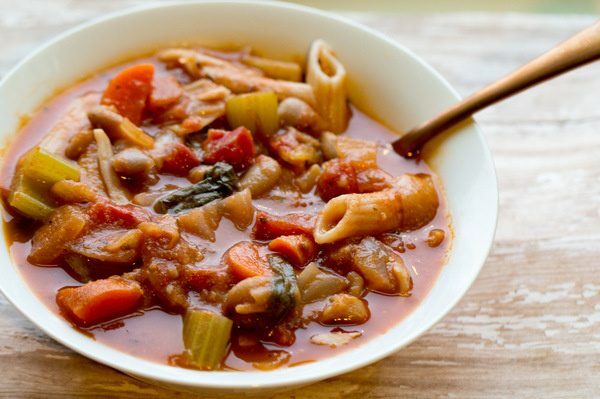 This soup can be on your dinner table in less than 20 minutes! Simply puree the ingredients, heat and eat. Your family will love the heartiness of this satisfying soup and best of all, its good for them. I don’t know how many years I’ve been making this black bean soup, but let’s just say it’s been a loooong time. It’s so easy that I can make it faster (I make it in a food processor, so its super fast) than leaving the house and pulling through a drive-thru. PLUS, it’s a heck of a lot healthier! Are Black Beans good for you? You bet they are! They offer fiber, potassium, folate, vitamin B6, plus they are cholesterol free and that equals heart healthy goodness! The fiber in black beans not only helps to lower the total amount of cholesterol in the blood and decrease the risk of heart disease, but it keeps you feeling full and that helps you lose weight. Want to know more about the benefits of black beans? Check out this article from Medical News Today. This black bean soup is fat-free and only 163 calories per serving. It’s loaded with fiber, vitamin C and iron. You and your guests will love it. I enjoy serving a small portion along side a spicy taco salad or a big bowl topped with vegan cheddar cheese, sour cream and avocado. Obviously, that will add in fat and calories, so budget wisely and intentionally eat. 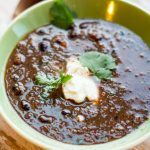 This Black Bean Soup is also great as a bean dip! I simply let it simmer on the stove a little longer in order to allow it to thicken and just like that – dip. I use it to top nachos, taco salads or just as a simple dip. It’s beyond healthy, especially compared to store brand dips. A lot of store brand dips add unnecessary oil and maltodextrin (Dr. Axe calls it a metabolism death food). Maltodextrin can spike your blood sugar, suppress the growth of probiotics, its made from GMO corn, can cause allergic reactions or side effects, and has no nutritional value at all. I say make your own and feel good about serving and eating it. 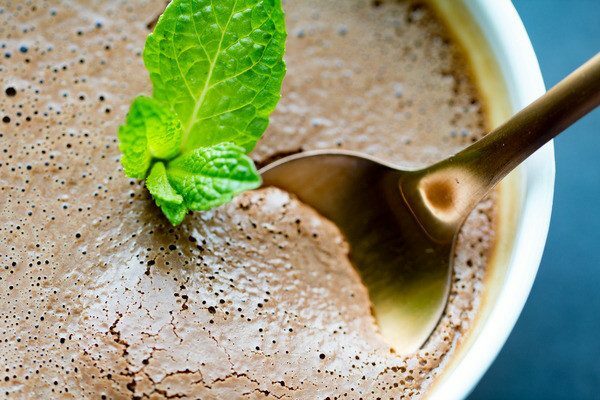 You can even freeze this Black Bean Soup! Save yourself some time, make extra soup and freeze it for a future protein-packed meal. I love these BPA free, Locking Lid Containers for storing leftovers. 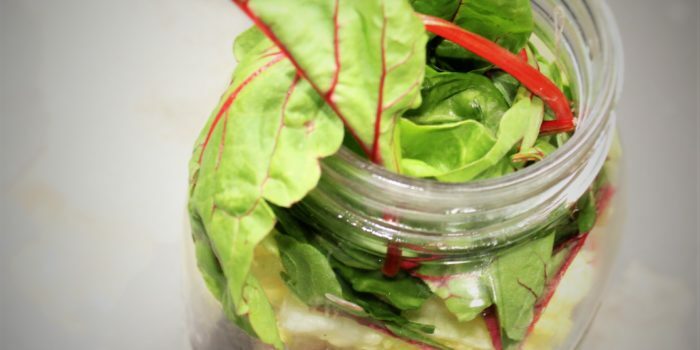 You could even store individual portions in Mason jars for a quick healthy lunch. 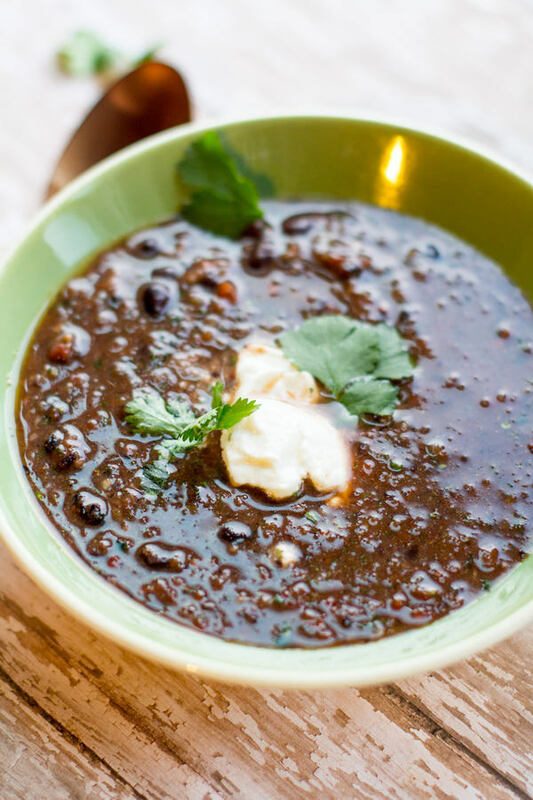 This black bean soup can be on your dinner table in less than 20 minutes! Simply puree the ingredients, heat and eat. It's heart healthy and low calorie! Add 1 can of beans, tomatoes, peppers, onion and cilantro in a food processor or blender, process until smooth or desired consistency is reached. Heat soup in a large pot over medium-high heat adding in the other can of black beans and simmer for 10 minutes. Season with garlic, cumin, chili powder, cayenne, salt and pepper. Add vegetable broth for a thinner consistency. Add 1 chipotle pepper in adobo sauce for a smoky hot flavor. Want an even easier Black Bean Soup? It won’t taste nearly as fresh or be as nutritionally packed, but you could use a jar of salsa instead of the tomatoes, peppers, onion and cilantro. It will still be healthier and more nutritious than most drive-thru items, so go for it and save yourself even more time. 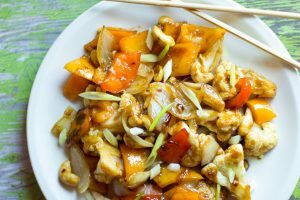 If you love this recipe, you’ll love Kung Pao Cauliflower! 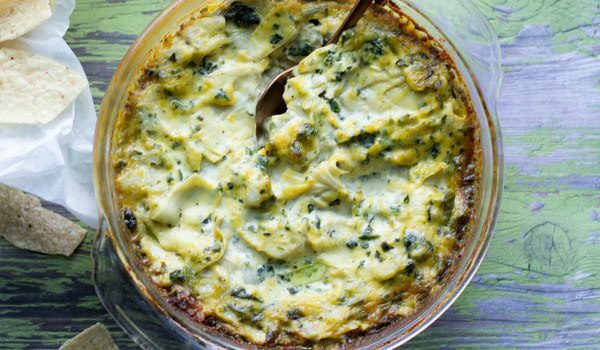 You can save tons of time and calories with this recipe, too! 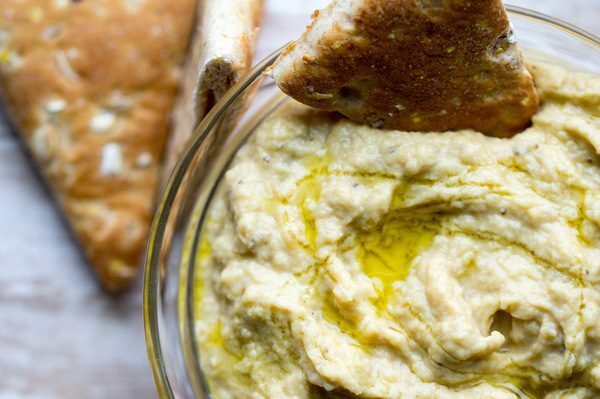 Try these 15 Fast Healthy Dinner Ideas! Did you make this Black Bean Soup? 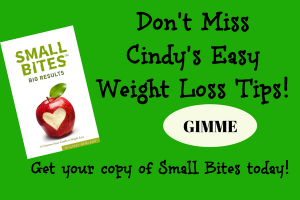 Need help on your weight loss journey? 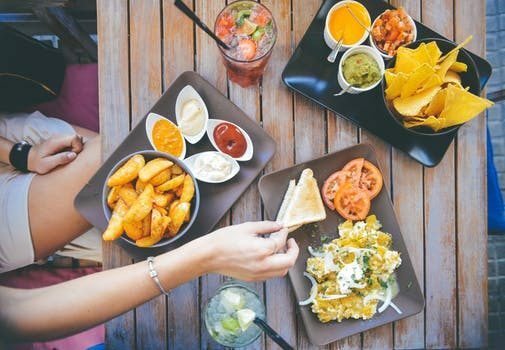 Join my Facebook group of Intentional Eaters and find the support you need. Looks super tasty! I’m vegan so this recipe works perfectly for me! Awesome Nicole! I hope you love it! This looks so good! 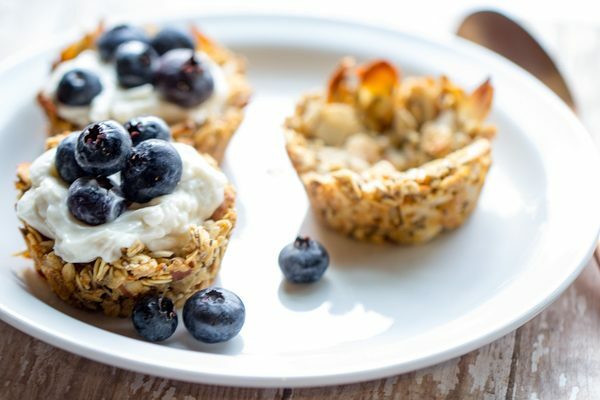 I love how low in calories it is and most of the ingredients are things I normally have floating around at home, I will have to try this for sure! Thanks so much! Hope you love it! I loveeee black bean soup! I’m currently on a diet and much prefer soups over salads. I’ll definitely be making this! I think soups are super filling when you are dieting. Enjoy! Oh yes, this looks amazing. I love the flavours of black bean, and this soup really needs to be tried. Perfect for the cold weather we are currently having here in the UK! This black bean soup looks delicious. Being vegetarian, I always love finding these great, hearty meals that can be enjoyed either alone or as a family. I shall be giving this a go for sure. I love black bean soup, your recipe sounds and looks so delicious, I would love to try this. This looks delicious. I love many types of beans, but I have never tried black beans. This seems like a very simple recipe. Black beans are delicious! I hope you enjoy! 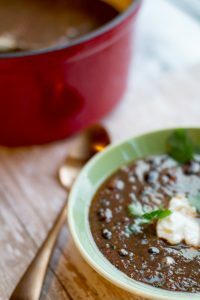 This black bean soup looks really delicious and easy to prepare. I will definitely check this recipe. I bet my hubby will really love this so much. I hope you both enjoy! Yay, I can’t wait to give it a try. I love simple recipes and this looks simple enough. I would love to hear how you like it! I love black beans and this soup not only looks incredibly delicious but healthy too! I’ve bookmarked your recipe and will try this weekend! Thanks so much Ana! Enjoy! I love this because I love black beans. They are so tasty and filling. I especially like them in soups, so hearty and simple. This recipe looks great. Bean is so healthy food for us and I am glad to come across this blog. I didnt know we can freeze the bean soup, how nice, that way I can keep it and eat when I have no time to cook. This is clean diet, I love it. I asked my mother to make this for me for my birthday dinner and it was delicious! I recently went vegan and it’s been hard to find meals we can all eat together. So thankful we gave this a shot. Everyone likes it and it’s going on the regular family meals list! Thank you! Yay! I’m so happy everyone enjoyed it! Happy Belated Birthday!